Areas Covered by Portable Toilet Hire London, Essex, London and more. We are able to travel throughout London, Essex and the surrounding areas at short notice as required for long or short term projects. We also offer 24/7 Emergency Services, Same Day Delivery, collection and cleaning. 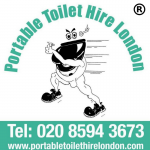 Call us directly on 020 8594 3673 for all our areas covered or email info@portabletoilethirelondon.com. or you can also find us on all the social media links on this website.